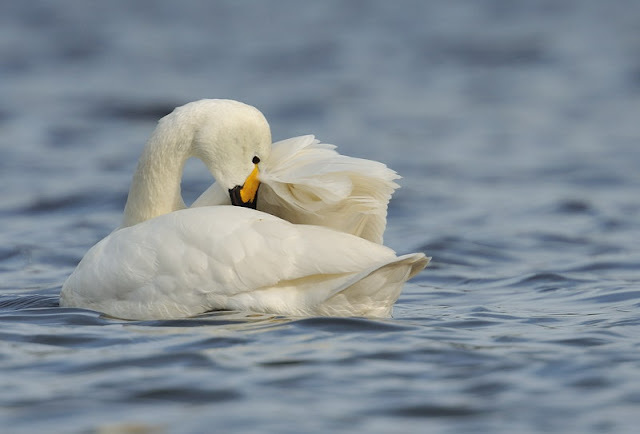 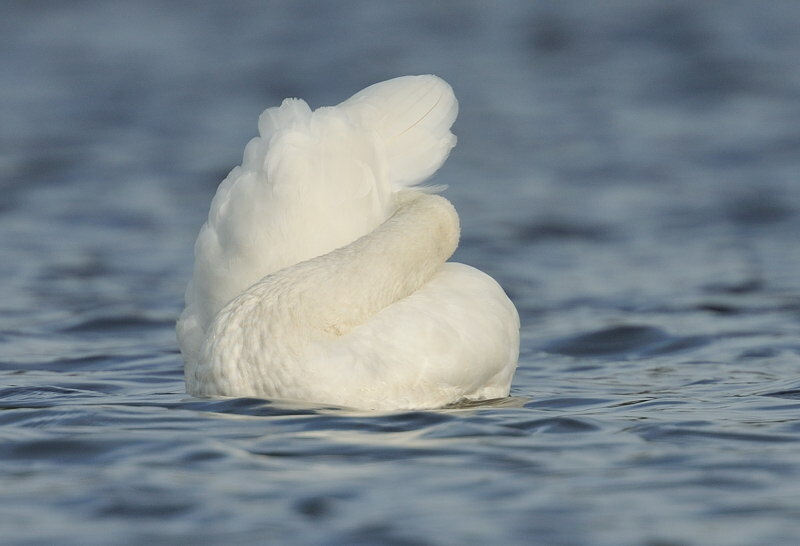 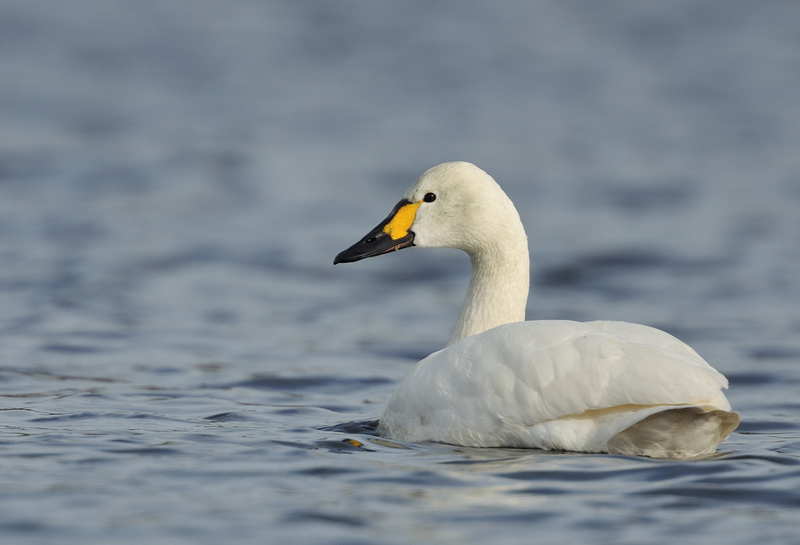 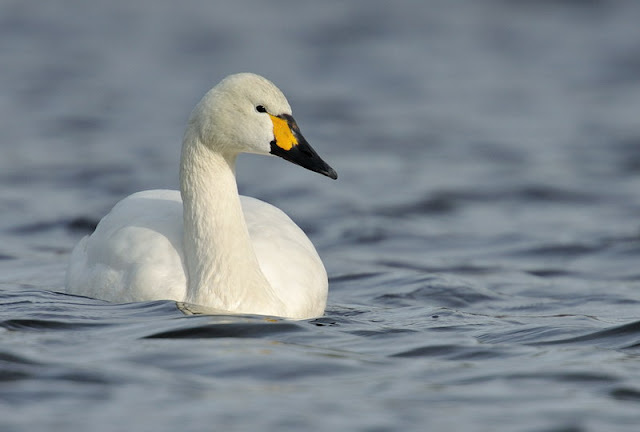 Every Bewick's Swan has a different bill pattern, similar to a human finger print. These three adults (above) and fourth adult below, are part of the original flock of eight at Stithians Res. 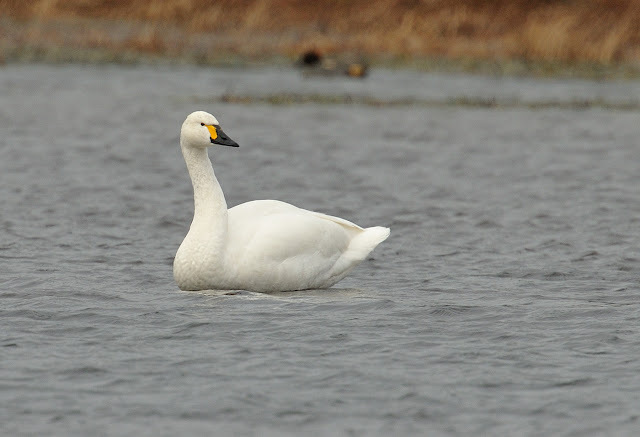 A close look at the bill pattern shows the Par bird to be a different individual. 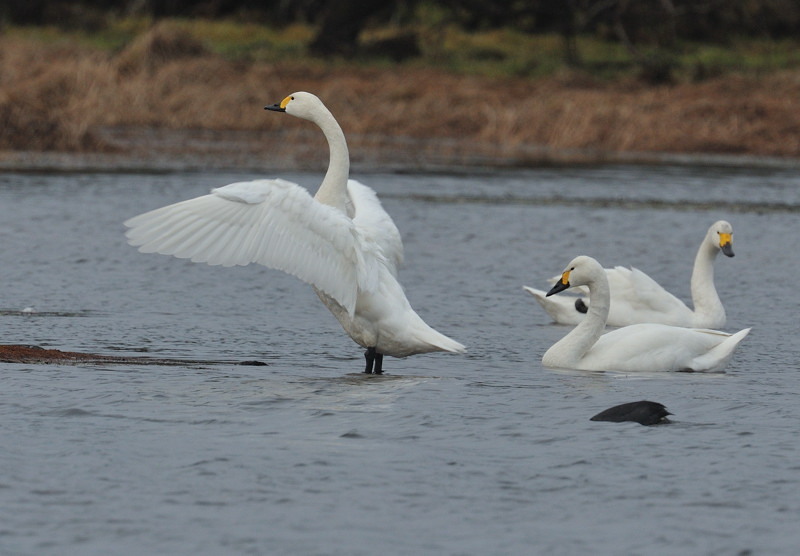 There is a unique black mark on the Par bird's bill not shown in any of the adults above. Stunning images Steve and nice to see the glint of sunlight in the eye. I read about the bill pattern in the latest issue of Waterlife - fascinating!